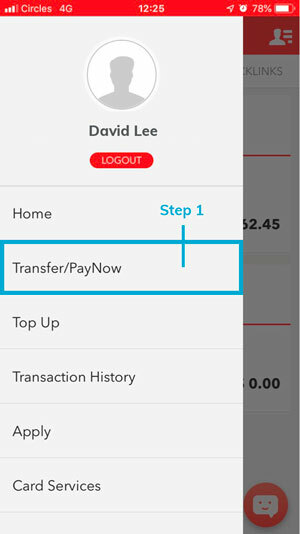 How to make a deposit via PayNow? 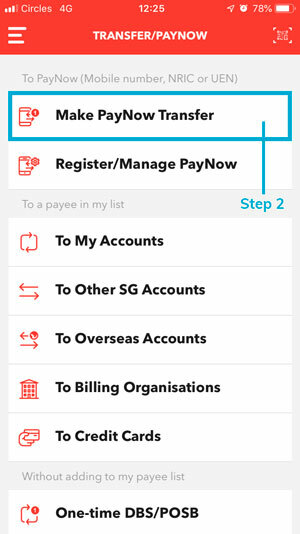 With PayNow, you can send money instantly with just the Company Unique Entity Number (UEN). Step 3. 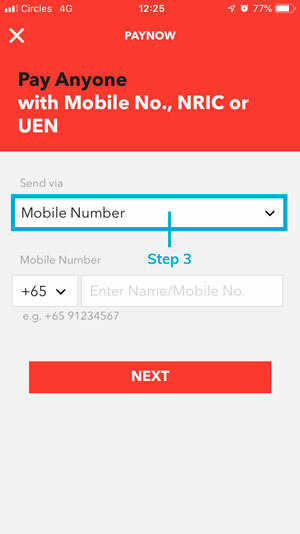 Select the drop-down option to send via Unique Entity Number (UEN). Step 4. 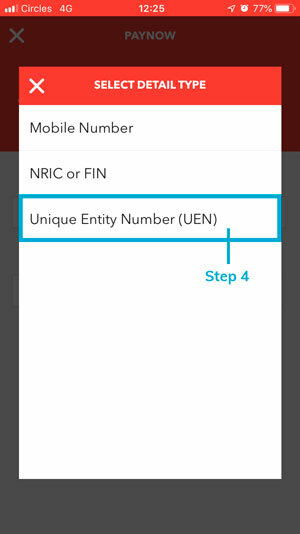 Select Unique Entity Number (UEN). Step 5. Enter 200918939G under the Unique Entity Number (UEN). 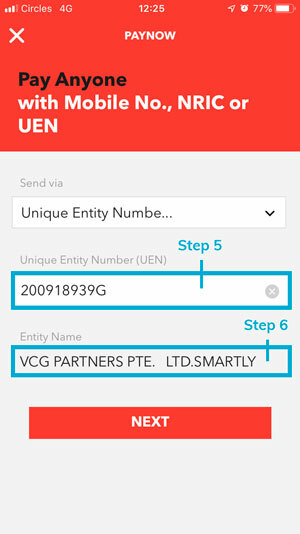 If you have encountered this error message - "Please enter valid Unique Entity Number (UEN)", here is how you can solve it. Step 6. 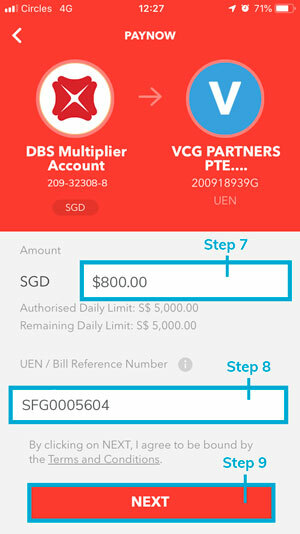 Upon entering the UEN, the Entity Name should show VCG PARTNERS PTE. LTD. SMARTLY. If the entity name is incorrect or you are unable to see, please ensure that you have entered the correct UEN. Step 7. Enter the amount which you would like to invest. 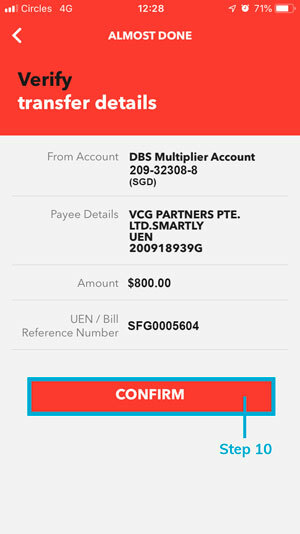 The minimum amount is SGD $50. Step 9. Click next to confirm the transfer details. Step 10. After verifying the transfer details, click confirm to proceed. We would strongly recommend that you check the information with the transfer deposit instruction email which we have sent to you. For users with two or more investment goals, please ensure that the unique goal reference number is the same as the investment goal which you would like to invest. You can repeat the process to transfer to another investment goal.